Lots of great things happening. Which I DO want to talk about. I mean, like YOU-WOULD-NOT-BELIEVE-IT level coolness. And when I say that, I mean, like, you can’t even imagine. But I must get this post out before the event has come and gone! We’ve put together the best exhibition yet for this year’s San Diego Comic Con. Haute Campe, our division of drive-in movie posters, has made some fantastic poster recreations featuring top models, and they’ll be appearing in our booth to sign them! Plus, we’re happy to add some new artists to the Century Guild stable (BOOTH 2845)… PLEASE CHECK BACK FOR UPDATES. Last Fall, Melissa Auf der Maur’s film Out Of Our Minds (with collaborator Tony Stone) was featured as an installation piece in the J. W. Waterhouse exhibition at the Montreal Museum Of Fine Arts. First shown at Sundance in 2009, her film is noteworthy as the sole contemporary interpretation of the Pre-Raphaelite vision to be included in this landmark exhibition. Out Of Our Minds is part of a larger vision, including a record and other soon-to-be-revealed aspects. Melissa is a true conjurer and fine artist, and you MUST come and meet her! Please note: Due to concert obligations, Melissa will be at Comic Con Thursday only! Continuing the Melissa Auf der Maur festivities, Lee Moyer will be signing alongside Melissa copies of his not-yet-revealed Art Nouveau-inspired MAdM poster!!! Lee has been in the public eye this past year as the artist bringing Michael Kaluta’s vision for an expanded Starstruck to completion, inking the expanded images and meticulously painting the entire book. We love Lee and are happy to have him behind the table this year! Please note: Due to prior commitments, Lee will only be at Comic Con on Thursday as well. FRIDAY 1-2: SPOTLIGHT ON MICHAEL ZULLI PANEL UPSTAIRS (Room 4)! IN HIS FIRST PUBLIC APPEARANCE IN OVER DECADE. 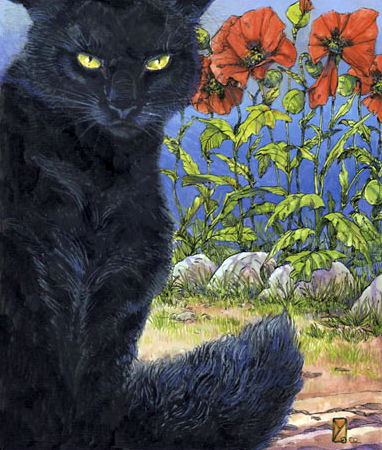 One of Neil Gaiman’s “go-to” illustrators, Zulli created the popular “man who could not die” Hob Gadling for The Sandman comic, and illustrated the epic final story arc, The Wake. Gaiman was so moved by Zulli’s sensitive linework, that this story arc were the first books to be published directly from an artist’s pencils. Following his work on The Sandman, Zulli retreated from the public eye and spent years sculpting his deeply personal graphic novel The Fracture of the Universal Boy, coming in Fall 2010 from Olympian Publishing. We are proud to announce that Michael Zulli is a Featured Guest of the 2010 San Diego Comic Con. God’s Girls has become synonymous with tattoed-and-alternative-model culture, and they are featured models on the Haute Campe drive-in poster recreations! Founder Annaliese Nielsen will be on hand, along with popular models Jenna Valentine, Tyler Christ, London and Toryn to sign copies of the posters… and surprise guests! Homer Simpson might have called him “boss” on The Simpsons, Mulder and Scully might have called him “Dr. Blockhead” on The X-Files, but we call Jim Rose “legend”. 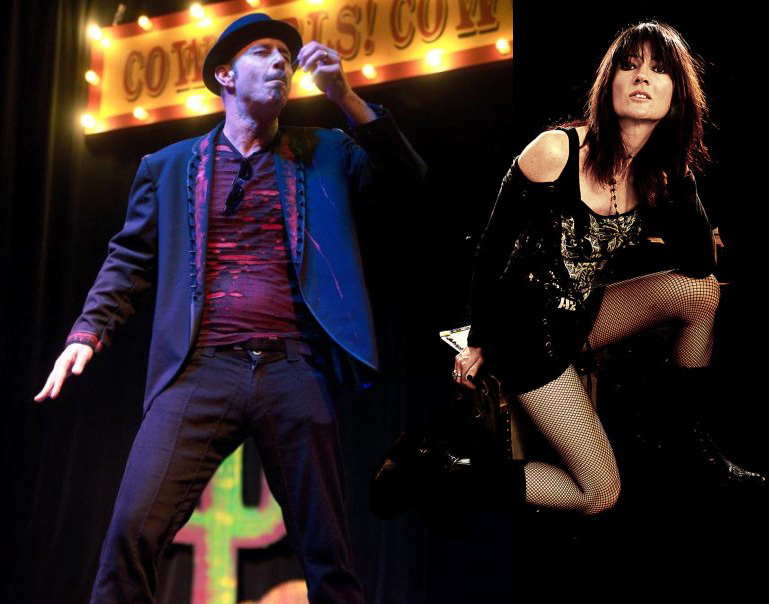 With his Jim Rose Circus, Rose revitalized the entire sideshow culture, and became a worldwide sensation from the moment they were invited by Jane’s Addition founder Perry Farrell to shock the crowds on the first Lollapallooza tour back in 1991 and paved the way for an entire generation of tattooed and pierced performers. “Today you see acts on prime time television that I was being thrown in jail for in ’91 and ’92,” marvels Rose. Jim and his wife, Bébé the Circus Queen, have collated the notes taken over a lifetime’s worth of circus travels around the world on the luck rituals they encountered in different cultures into an encyclopedia of all things lucky titled- appropriately enough- Your Lucky Book. 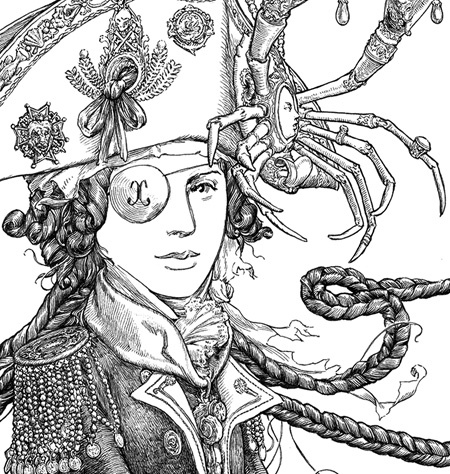 Illustrated in a nineteenth-century style by Jeremy Bastian, both authors will be on hand to sign limited edition copies of the book with a special cover, hand-stamped in metallic inks. Century Guild is proud to announce representation of Steve Diet Goedde- a world-recognized photographer and one of the leading names in contemporary fetish photography. Models Goedde “discovered” include such icons as Dita Von Teese, Masuimi Max, Aria Giovanni, Justine Joli, and Emily Marilyn. His work was compiled in two hardcover monographs, The Beauty of Fetish: Volumes I & II, by renowned photography publisher Edition Stemmle. Steve will be signing DVDs of his interactive film Living Through Steve Diet Goedde: Photographic Anthology 1990-2004, with over 700 images digitally rescanned from the original negatives by Steve Diet Goedde himself, including hundreds of never-before-seen images. Hung. The Punisher. The Mist. As if that wasn’t enough, add that the man was the director of the brilliantly creepy The Dark Country and the mastermind behind some of the hottest comic books to hit the shelves in the last couple of years, and you have more reasons than you need to come and see the take Sioux Sinner has conjured up of a certain 1970s Italian movie poster— recreated with Tom in the lead role! Thomas Jane will be signing his Haute Campe recreation and will be more than happy to sign any copies of his comics Bad Planet or Alien Pig Farm 3000 you might happen to have bought before those things were sold out everywhere! Signing Haute Campe poster recreations: three of the most popular Alt Models! Doctor Who, Tattoo, and Anime Nerds everywhere will rejoice now that they know where to stalk these ladies. Nitrate artworks and edition prints, including the above painting of Metropolis. Dave McKean has illustrated and designed covers for the most respected comics of the late 20th century (including Arkham Asylum and Sandman), has worked on film and book projects with John Cale, The Rolling Stones, Jonathan Carroll and Stephen King and has seen his work brought to life by The National Theater of Scotland (The Wolves in the Walls). McKean was also a conceptual artist on the Harry Potter films and created and directed the movie MirrorMask for the Jim Henson Company. 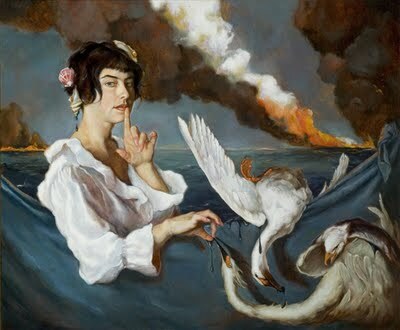 A longtime aficionado of silent film, McKean’s current body of work is inspired by the era and is titled Nitrate. His second film, Luna, is currently in post-production. 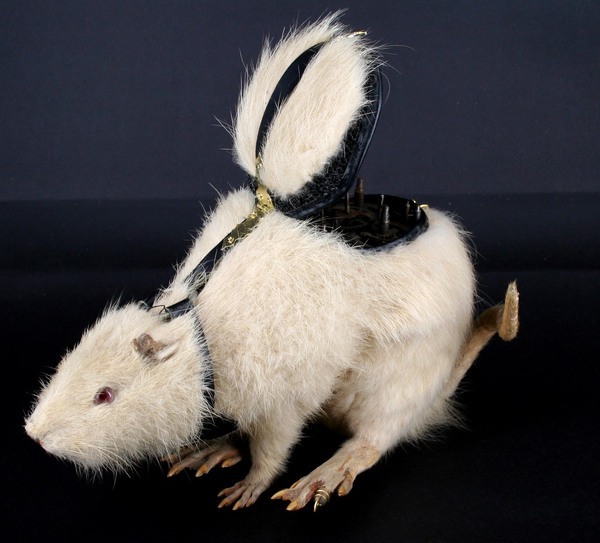 Last year, Lisa Black’s taxidermy artworks were a runaway hit of the show, and were featured on Wired and Boing Boing, and were the subject of more blog posts than anything we’ve ever seen. This year will certainly have the crowds equally enthralled! 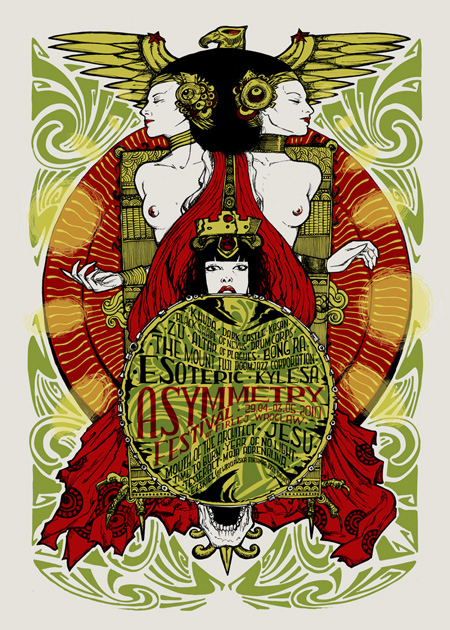 Italian artists Malleus are a “three-headed hydra” of creativity, and they make some of the BEST silkscreened concert posters in the world. Described as “Dark Nouveau”, we are fans- and you should be too…! 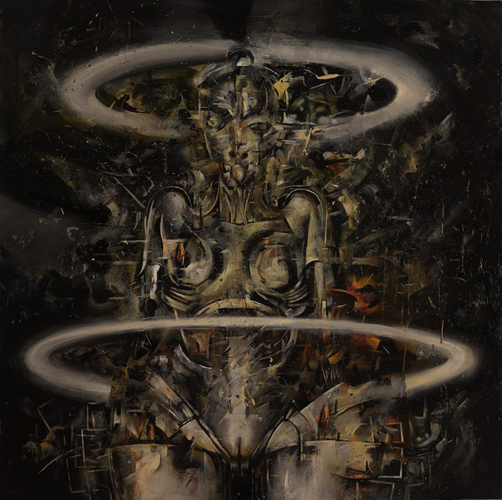 This entry was posted on 28 June, 2010 at 10:33 am and is filed under Century Guild Contemporary, Century Guild Events, Comic Conventions, Dave McKean, Gail Potocki, Haute Campe, Jeremy Bastian, Jim Rose Circus, Michael Zulli, Olympian Publishing, Sioux Sinner, Uncategorized. You can follow any responses to this entry through the RSS 2.0 feed. You can leave a response, or trackback from your own site. Kudos on featuring Lee Moyer! He’s one of the most versatile and imaginative artists creating today! We represent him commercially (ad agencies, etc. ), and deeply appreciate his range, richness, and timeless styles, and wish him much success!